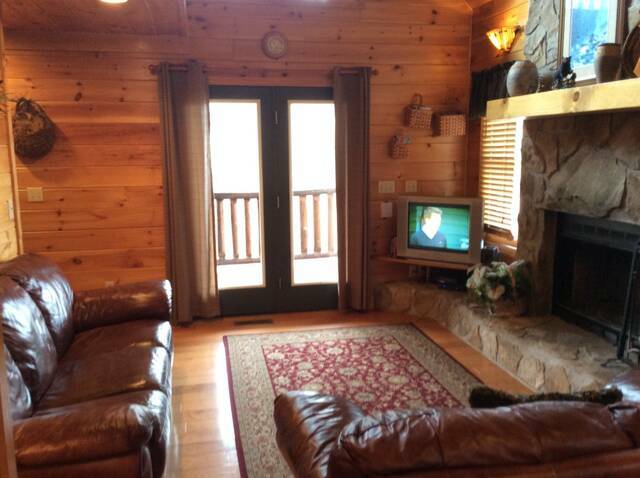 This cabin is no longer on our rental program. 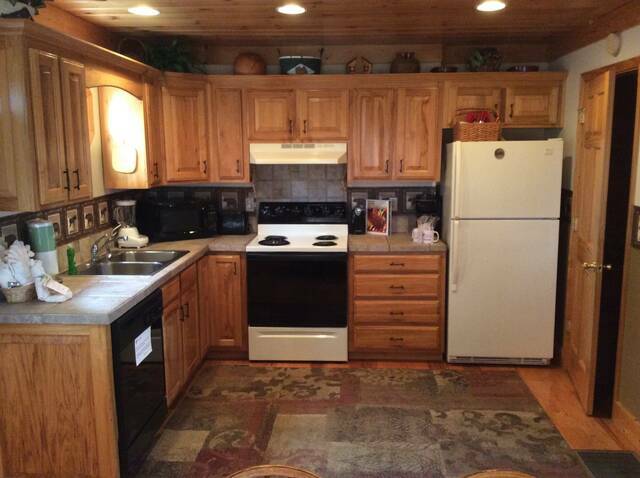 View other 3 bedroom cabins. 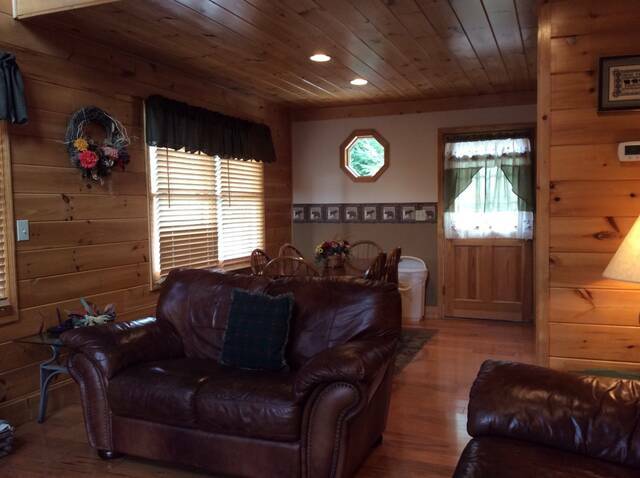 This is a beautiful 3 level cabin overlooking majestic Wears Valley. Each of the three levels offers a bedroom and bathroom and all the luxuries one could want while away from home. 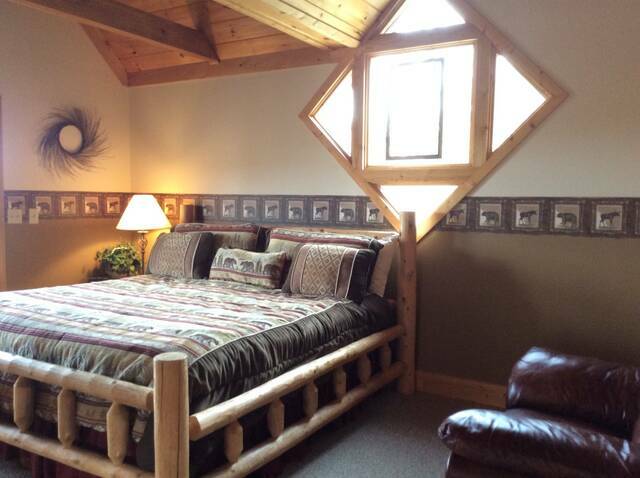 The two upper levels offer a king bed in each room and the lowest level has a comfy queen bed. Each bedroom offers its own TV and its own bathroom. 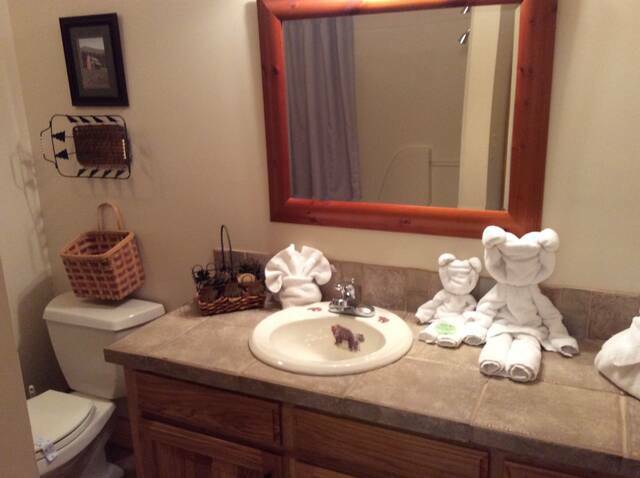 Perfect getaway for families or friends looking to spend some time away together. 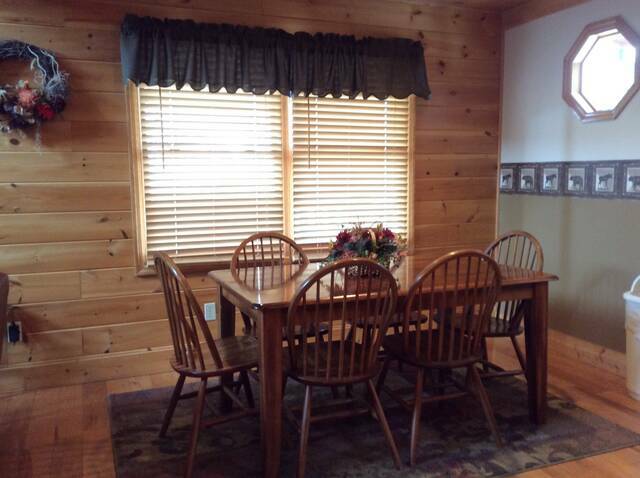 The main level has a cozy living area with wood burning fireplace and kitchen as well as dining area. The upstairs has great view of Wears Valley from its very own deck sitting area. 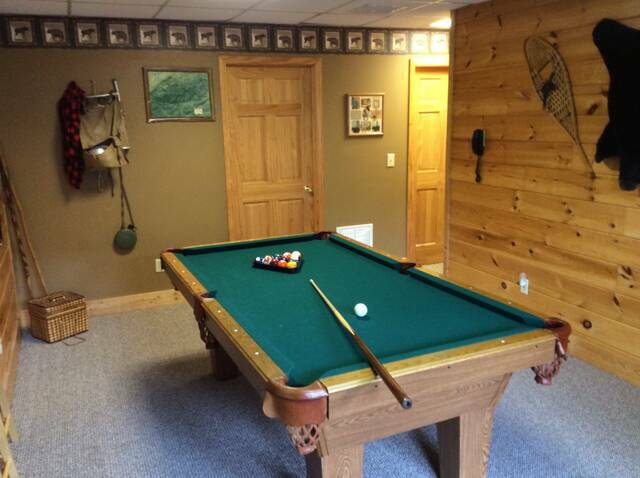 Downstairs offers a comfy game room with yet another level of deck access. Views can be taken in from each level or bedroom. 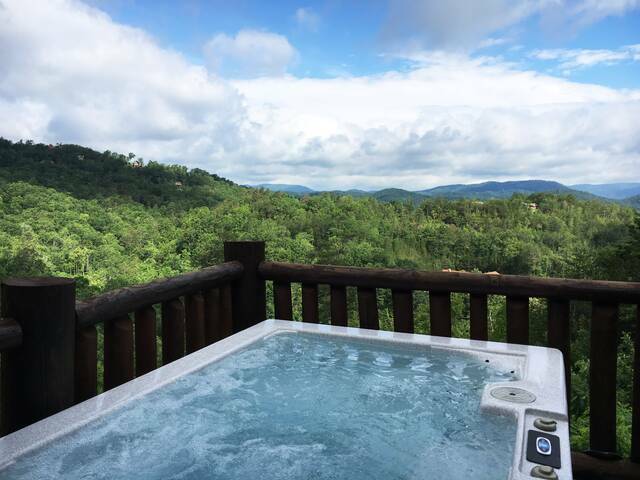 Enjoy the inviting hot tub on the deck while taking in a beautiful mountain sunset over the valley below! 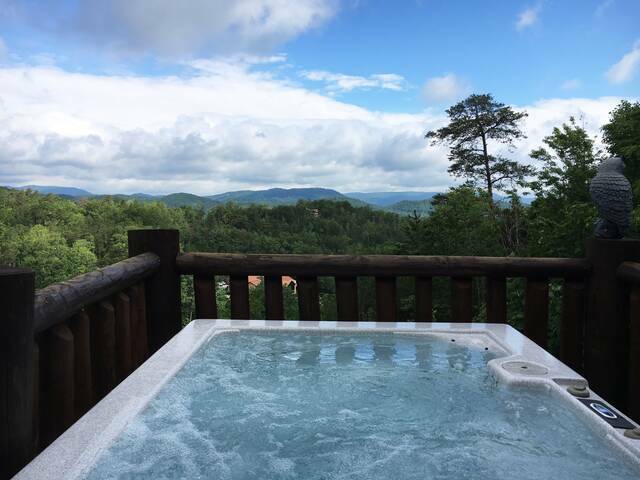 Cabin is just outside of the Smoky Mountain National Park as well! Main Roads Are Paved To This Cabin. Not suitable for U-Haul or Motorcycle Trailers. Unfortunately this cabin is no longer on our rental program. 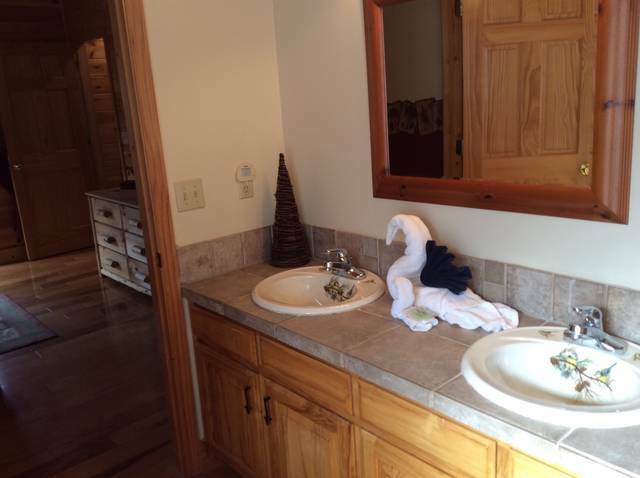 Please check out other 3 bedroom cabins. We had a wonderful time and made some great memories at Chestnut Ridge. We loved how close it was to the national park. 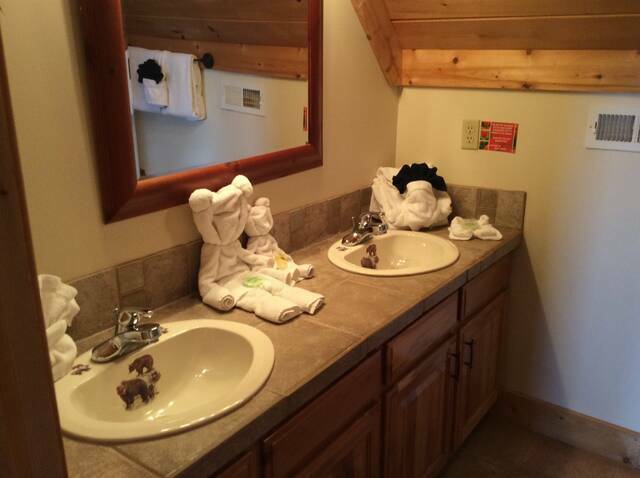 The cabin was very clean and exactly as described. The road up to the cabin was paved which made it very easy to get to. Diana was very welcoming and gave us a lot of recommendations on what to do and see. 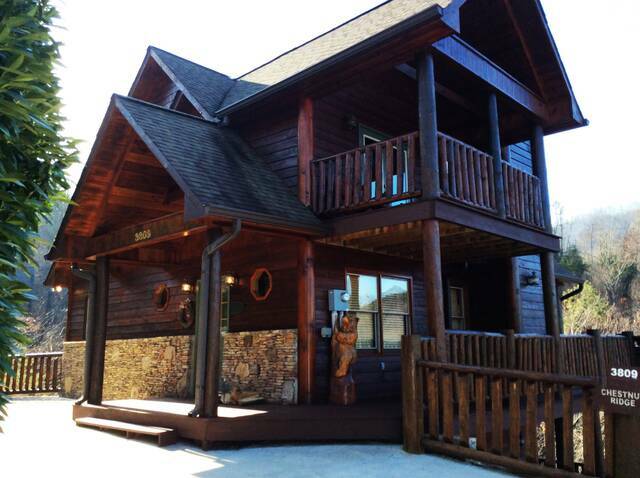 We will definitely use Great Cabins in the Smokies for our next smoky mountain vacation. Management Response: It was such a pleasure having y'all stay with us. We are so glad you had such a wonderful time at Chestnut Ridge. Great cabin choice for a great group of people! Looking forward to seeing you again next year. We made an unexpected stop in Wears Valley during "Leaf Season". We were lucky enough to find Chestnut Ridge thru Great Cabins in the Smokies. The cabin was lovely. 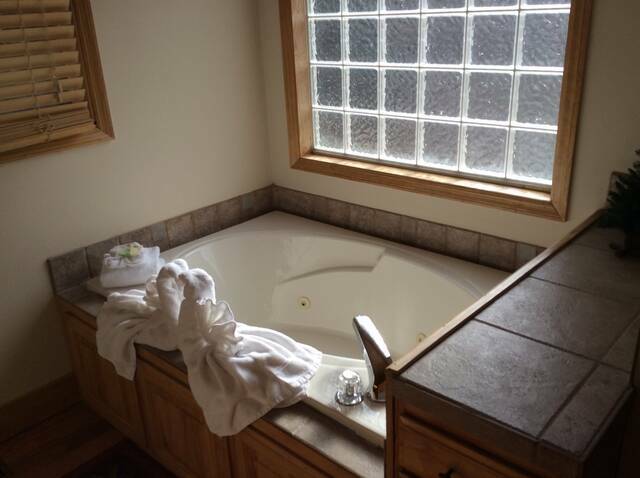 Very, clean and comfortable with beautiful mountain views. We would definitely stay their again. Management Response: We were so happy you stopped in to stay with us. It was such a treat to get to meet y'all! Thank you for the opportunity to be a small part of your well deserved get a way! Looking forward to seeing you again one day. 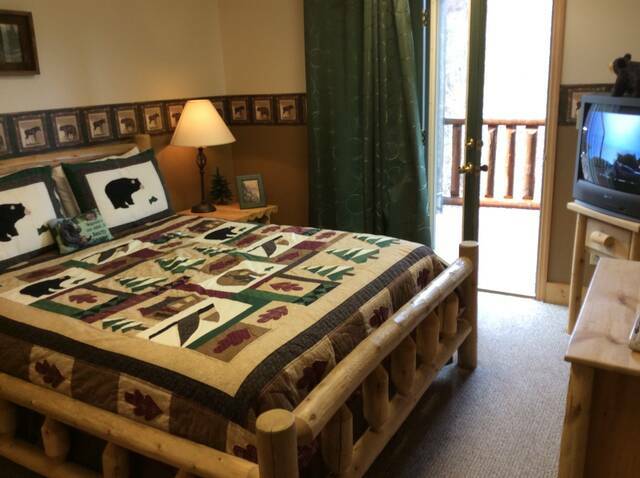 We've stayed with Great Cabins for about 8 or 9 years and have always been completely satisfied. Management Response: It was so great to see y'all again! Truly a pleasure!! Thank you for the review. See y'all again soon!! Overall great experience. No outdoor grill present on arrival but was furnished next day. A/C drain was leaking and lower level was musty, but was promptly fixed. Staff was great. We were extremely happy with everything. The location of the cabin is superb--woodsy and very quiet.